Missouri's Republican Attorney General and Senate candidate Josh Hawley said he has seen a noticeable increase in anger among voters in the wake of the bitter Kavanaugh confirmation fight. "There's a noticeable change in atmosphere here in the state and a noticeable surge in enthusiasm among Republican voters," Hawley said. "But also, I would say a noticeable surge in anger among all voters in my state." Hawley spoke with ABC News’ Political Director Rick Klein and Chief White House Correspondent Jon Karl this week on the "Powerhouse Politics Podcast" about the Missouri Senate race and the enthusiasm of the conservative base. He, like many other Trump-backed conservatives, has condemned the way Democrats treated Kavanaugh’s confirmation. 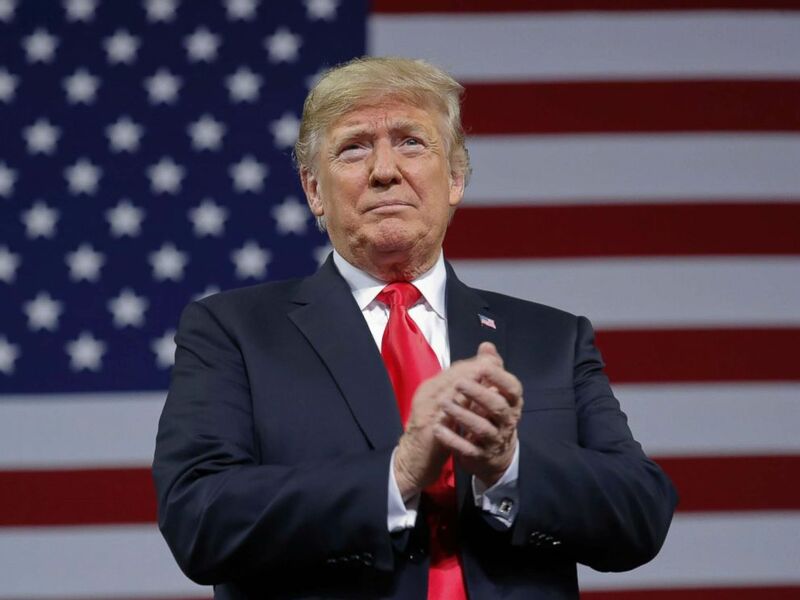 President Donald Trump applauds as he take the stage to speak at a campaign rally at Kansas Expocentre, Oct. 6, 2018 in Topeka, Kan.
Hawley has been hammering away at incumbent Democratic Sen. Claire McCaskill’s history of voting mainly with her party in the Senate. Karl asked Hawley if there were any areas where he would break with President Donald Trump. 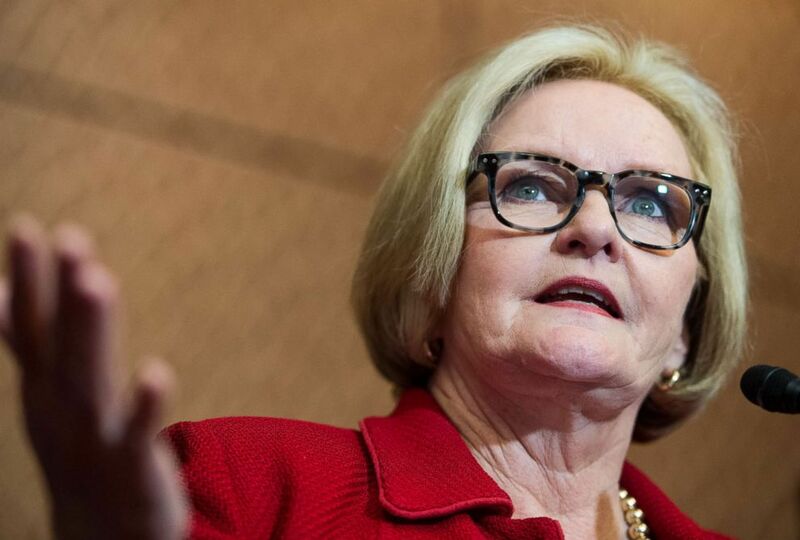 Sen. Claire McCaskill participates in the news conference with survivors of sexual assault to urge the Senate to pass the Campus Accountability and Safety Act, April 26, 2016. Hawley is in a neck and neck race with McCaskill -- the latest polls show them merely points apart and within the margin of error. President Trump swept Missouri in 2016, and only three of Missouri’s 140 counties historically vote blue. Health care is a divisive issue on the ballot this November. Hawley, along with 16 other Republican attorneys general, signed a lawsuit that would strip some protections for those with pre-existing conditions under the Affordable Care Act, notwithstanding his campaign ad saying that he would defend those patients if elected. Hawley has been a staunch advocate of the Republican plan to repeal and replace Obamacare, citing skyrocketing premiums over the past five years. If the ACA is repealed, though, the coverage for pre-existing conditions disappears. He’s cited the possibility of reinstating a similar plan outside of the ACA to combat that problem. Hawley has sought support from farmers by praising Trump’s trade policies. “Farmers are so pleased with the job the president is doing. They gave him his margin here in the state of Missouri,” Hawley said. Hawley had a scheduled event Wednesday with a Texas-based preacher, who, in 2017, compared LGBTQ activists to Nazis, but canceled due to scheduling conflicts, according to his campaign. Klein asked about his vetting process for scheduling such events. Hawley simply told ABC that he doesn’t support discrimination of any kind. He enters the national landscape in a congressional race that showcases many Republicans taking on Democratic incumbents. “It is remarkable to think about the potential for a Senate that comes back without Bob Corker, without Jeff Flake and with freshman senators that could be like Josh Hawley, who are going to owe their political futures to Donald Trump,” Klein said. Every Wednesday, ABC Radio and iTunes bring you the Powerhouse Politics Podcast. which includes headliner interviews and in-depth looks at the people and events shaping U.S. politics. Hosted by ABC News’ Chief White House Correspondent Jonathan Karl and ABC News Political Director Rick Klein.